The furniture is the most important part of an interior décor, and it is extremely important to know how to arrange it. However, it’s not something everybody knows to do, which is why it is important to pay attention to a couple of tips and tricks before you start. 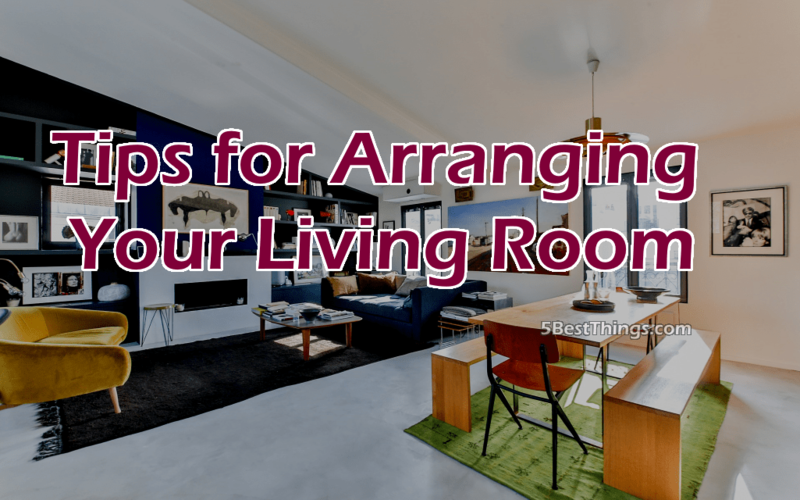 The living room is perhaps the area where you’ll spend most of your time, and often times together with your family, so why not make the best of it? Read on for top 5 tips for arranging your living room furniture. 1. Choose a main point. You have to have one focal point of the living room. Most people prefer it to be the fireplace, others choose the window view and so on. However, the focal point doesn’t mean that all the furniture is placed so as to face it, but rather that it’s the first point that attracts you attention when you enter the room. One example would be a living room with low windows; in this case, choose a low-profile type of furniture, so as not to block the view. Don’t be afraid to experiment with styles and materials! If you have a monotonous design, then you can choose one livingroom chair to be outstanding. One pink chair can truly make the difference between a traditional boring design and a classy, modern one. You can switch between colors and patterns, and remember than one color splash is always welcome. 3. Choose the center point. The center point is going to be the place where you put the coffee table or the center table. If your living room is too large, then you can have two center points. For example, the first center point can be a glass coffee table in the center (though it doesn’t have to be necessarily in the middle), while the second can be smaller and set next to the window. 4. The right type of seating. Since we were already mentioning chair earlier, it is important to choose the appropriate seating for your family. If you have lots of children, then the seating should be comfortable, safe, but also resistant to dirt and made of an easy-to-clean material. It wouldn’t be the case to go for velvet or other pretentious materials, since you will most likely find it hard to maintain them looking as good as you can. Make sure that the size of the furniture and the size of the room are complementary. A small type of furniture will create the illusion of emptiness in the room, while one that is too large will create a crowded, cluttered air, which you definitely don’t want.